My business philosophy applies to all aspects of my life: "Treat everyone you meet with dignity and respect. I know that buying or selling a home can be one of the most significant events in a person's lifetime and I have both the experience and knowledge my clients can trust. Through my attention to detail, prompt response and patience, my clients can count on me to provide professional and courteous customer service. Whether you are buying or selling a home, my ultimate goal is to make your real estate experience rewarding and pleasant." Julie's previous career in marketing and program development for communities throughout Lake County has given her a wealth of knowledge about the market. As a full-time real estate broker for the last 15 years and with a degree in communications, Julie demonstrates the ability to listen to her client's needs and communicate effectively- critical elements in establishing trust. Since becoming a Realtor®, Julie has consistently been an award winning producer closing $100,000 to muliti-million dollar real estate transactions. She believes her success is due in part because she truly enjoys helping her clients find the right home as much as she does marketing a property. Julie guides her clients through every step of the way from the first meeting until after the closing. 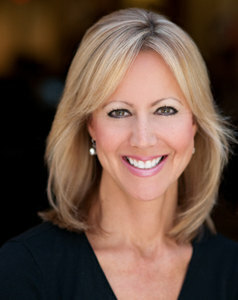 Julie grew up in Lake Forest and graduated from Woodlands Academy and Texas Christian University. Julie is a lifelong Lake County resident actively involved in the community. She is the founder and active board member of Teen Courts in Lake County, former Chair of Nicasa's Women's Auxiliary Board, and volunteers as a tutor for grade school children in North Chicago. Check the pulse of the market by calling me to request a comparative market analysis of your home. Understanding current values in your neighborhood will help you come up with a plan and timeline for listing your property. Talk to a mortgage broker now to get a sense of your borrowing power and creditworthiness. If you find that you need to save more for a down payment or boost your credit score, you will have time on your side. Get your home inspection-ready by making a list of needed repairs and tackling a few at a time. This will make the process less overwhelming and be easier on your budget. If you are planning on staying in your home for the next few years and want to make some updates, call me before you make any changes. I can offer helpful suggestions on where to put your money that will get you the biggest bang for your buck down the road! My value added services and team of resources provides you with mortgage lenders, home designers, home stagers, home inspectors, attorneys and financial advisors who can all help in your preparation to move~ now or in the future! "In addition to being attentive and responsive to our needs, Julie helped us navigate a situation made more difficult by a prospective buyer than it should have been. In the end, the sale of our home turned out better than expected."